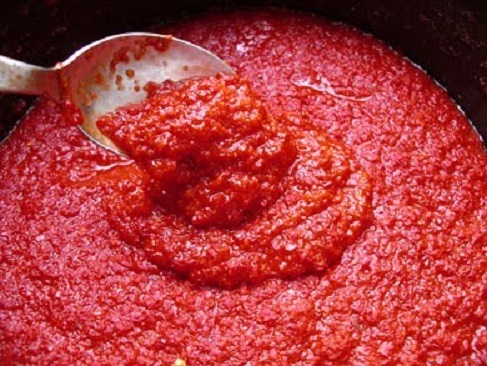 Pimenta Moida is a spicy Red pepper sauce that is used traditionally all throughout Portugal, although most typically seen in the Azores. It is great when served with some toasted bread and fresh cheese, or queijo fresco, on top. It is also great as a marinade for grilling meats like chicken as well. It has a tasty sweet sauce with an intense spicy kick. It is quite simple and easy to make, and great for storing as a sauce for future use. 1) Place the chopped peppers and salt in a blender and blend until it is a smooth and even consistency. 2) Place the mixture into a saucepan and let it cook on medium heat for 3-4 minutes. 3) Stir in the vinegar and olive oil well and then pour into the jar for storage. 4) Place it a refrigerator and serve whenever. There are so many variations for making this sauce and I suppose it really depends on your family history. Is it possible that the recipe could vary from island to island? For example, my family does not use vinegar and we do not pre-cook the crushed pepper. Instead, we heat the glass canning jars by insertion in boiling water prior to layering in the crushed pepper and salt (layer of pepper – layer of salt – layer of pepper). The heat creates a vacuum as the jars cool. We also do not use olive oil in the prep or in the canning, although other families add the olive oil to the top of the crushed pepper in the jar to create an additional seal. The oil will float to the top as the salt draws the liquid from the pepper.